It seems startups in India are witnessing a tremendous growth in their net worth which is almost close to the richest business tycoons in India. According to Hurun’s India Rich List 2016, founder of Paytm, Vijay Shekhar Sharma is the richest Entrepreneur under-40 in India. His net worth jumped by 162 percent from Rs. 2824 crore to Rs.7300 crore presently. The list comprises of entrepreneurs with a wealth of Rs. 1600 crore or more. Nilima Motaparti, Divis Laboratories followed Vijay with a net worth of Rs.7100 crore. Bhavish Aggarwal, Co-Founder of Ola Cabs stood youngest on the list worth Rs.3000 crore currently, which was Rs. 2,385 crore in 2015. This man Dominated list mentions only 4 percent of women in the list. 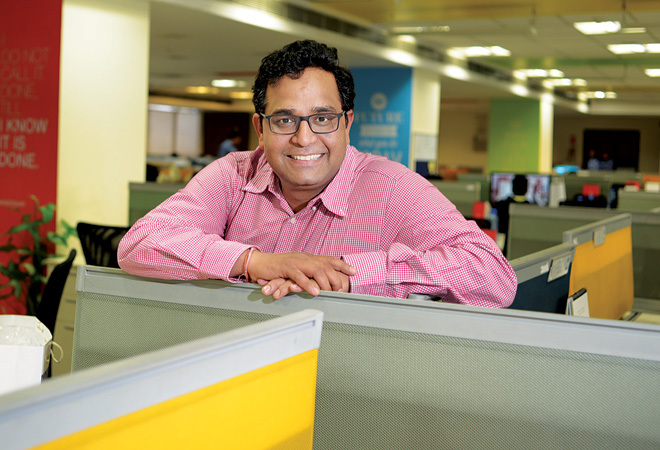 Paytm founded in 2010, was the reason behind the growth of Vijay Shekhar Sharma. Started with offerings of utility bill payments and mobile recharge, Paytm emerged as a one-stop marketplace for customers. Paytm offers everything right from recharge to booking a car. Paytm Wallet provides many services like hotel and travel bookings, movie tickets, money transfer and much more. With 122 million active users, 130 million wallet users and 90 million users monthly, Paytm extends its wallet service across the cabs & taxis, fuel stations for bill payments. The company achieved a swift speed startup status with a net worth of $2.9 billion and bleeding money each year. Paytm registered a loss of Rs.372 crores in the 2014-15 financial year. So far, Paytm has received a funding of $740 million in total with a significant stake of 40 percent by Alibaba group. It is reported that the founder Vijay Shekhar Sharma, holds 21pecent of shares in Paytm which has been cut down by 6 percent in 2015 when Alibaba, Ant Financial invested $680 million in the company. Even after witnessing a loss of his stake by 6 percent, Vijay Shekhar Sharma’s wealth gained by 162 percent.